RBTH presents a selection of views from leading Russian media on international events, featuring news that is Russia considering supplying Greece with oil and Uganda with weapons, as well as a report on falling vodka sales in Russia and Eastern Europe. The Vedomosti business daily reports, citing Russian Energy Ministry Alexander Novak, that Russia has decided to support Greece and is considering direct oil supplies to the country. The Energy Ministry expects to reach a deal in a matter of several weeks. He went on to add that oil companies were unlikely to agree to lower their prices either on an order or an informal request: Even Russia’s state-owned oil giant Rosneft has private shareholders, who would be angered by the move. 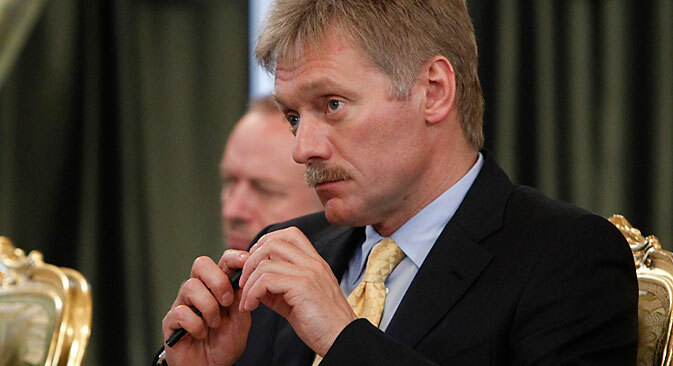 Presidential press secretary Dmitry Peskov explained: “It is one thing to buy on an exchange and another to receive direct supplies, where the price can be more attractive.” However, he did not say anything about the terms of a possible deal. “It would be wrong to interpret it as Moscow’s intention to open an aid channel for Greece. However, given our good relations, we are ready to take certain steps to support its ailing economy,” Peskov said. Vedomosti adds that this year the export of petroleum products has for the first time in many years become more profitable than supplies to the domestic Russian market. The Izvestia daily reports that VTB, a Russian commercial bank with state ownership, intends to grant a loan to Uganda to purchase Russian weapons. Representatives of the bank, together with experts from the Russian state arms exporter Rosoboronexport, are preparing for talks on the terms of the deal, which will be held in the Ugandan capital Kampala. The amount of the loan has not yet been disclosed. The paper recalls that this is not the first time that VTB has been involved in a deal like this: Last year the bank took part in financing the purchase of Russian weapons by Angola. There are deals with other African countries in the pipeline. The paper adds that last year Sukhoi supplied six Su-30MK2 fighter aircraft worth $740 million to Uganda, making the country’s air force one of the most powerful in Africa, alongside Algeria and South Africa. The main threat that Kampala is facing comes from neighboring Democratic Republic of Congo and South Sudan. The business daily Vedomosti reports that, according to a study by the Drinks International publication, global vodka sales dropped by 5 percent in 2014. The fall is largely attributed to a collapse on one of the main markets for this product, Eastern Europe. Out of the 52 “millionaire” brands (whose annual sales exceed one million 9-liter cases) only 46 remained on that list in 2014. Furthermore, 24 of them saw a reduction in sales. According to the center for studying the federal and regional alcohol markets, out of the approximately 350 million decaliters of vodka consumed globally, at least 50 percent fall in Russia, Ukraine, Belarus and Kazakhstan. The difficulties on the East European market derive primarily from Russia, where, according to Drinks International, sales are suffering under the pressure of a deteriorating economic situation and legislation, i.e. the minimum retail price of vodka set by the state. Alexander Mechetin, chairman of the board of Sinergia (one of the millionaire brands in Russia), told Vedomosti that vodka sales were falling because of an erosion of consumer purchasing power, competition from bootleg spirits and a switch to cheaper options. According to the Russian federal statistics service, Rosstat, ex-factory deliveries of vodka dropped by 24.8 percent in 2014, while vodka production fell by 22 percent, to 63.6 million decaliters.